If you’re bored of sandwiches, then these stuffed pittas are the best alternative. They’re perfect for packed lunches and there’s no excuse for them not to be delicious – give these a go, then experiment with your own favourite flavour combinations. 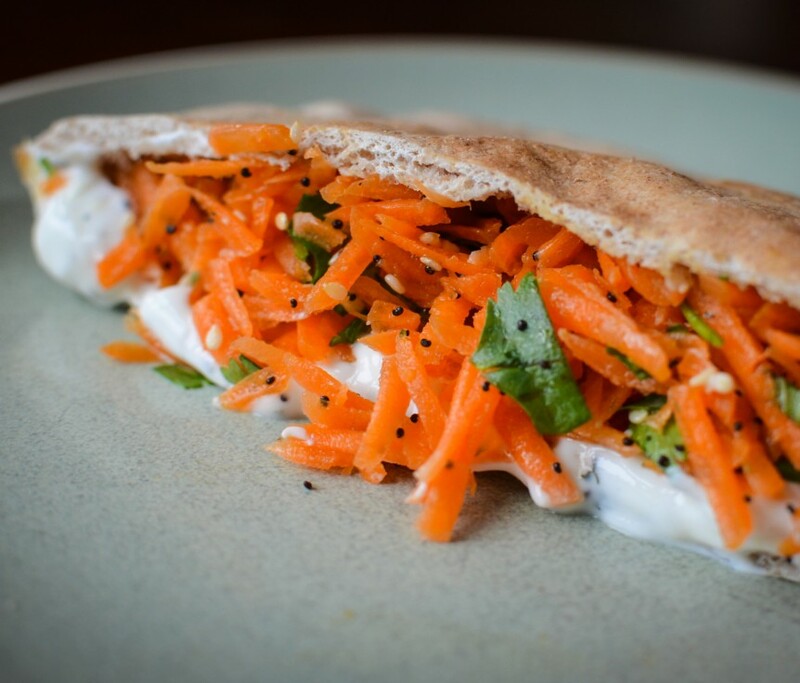 Use oven gloves to remove the pittas from the oven, then serve with the zingy salad and some homemade houmous and let everyone stuff and build their own pittas. If you want to turn this salad into more of a main meal, try adding some thinly sliced orange, a few slices of grilled chicken, or a little feta or goat’s cheese crumbled over the top.